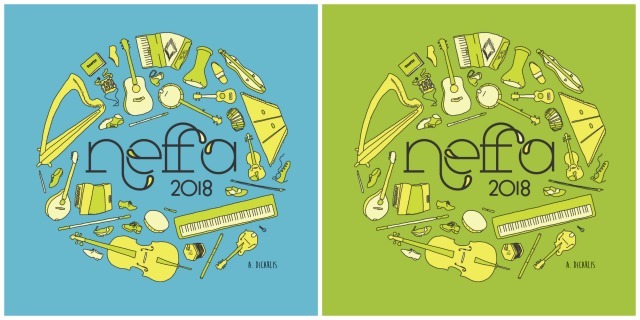 The 2018 NEFFA Festival T-shirt designed by Angela DeCarlis is off to the printer! It will be offered in two colors, in women’s and men’s sizes. The price is still just 15.00, available for purchase at the Festival..
NEFFA heads to Club Passim!